Now that the holidays are over, I am back into cleaning and organization mode. Of course I am finding an accumulation of dust in certain areas and wanting to refresh my home. However before I even begin, there are certain steps I like to take to ensure that I am getting an optimal result. Today I am sharing ideas of how I prepare to vacuum. Dust Furniture and Blinds Before You Vacuum– If you want to avoid a new mess, complete dusting before you vacuum. This way loose pieces of dirt are picked up. 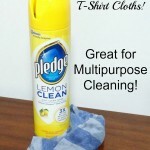 Check out these DIY T-Shirt Cloths for Multipurpose Cleaning! Turn On Lights or Open Curtains/ Blinds To Let In Light – This is a great way to make sure you can see the floors better and aren’t missing items as you clean your floors. Clean or Replace Filters Regularly and Empty Out the Canister– If your filters are dirty or the canister is full, your vacuum probably isn’t working efficiently. Refer to your user manual for how often you should clean your filter. Use Attachments to Dust Along the Walls– A regular vacuum is not able to reach down into certain gaps at the wall or effectively grab debris in the corners of carpet. This is when attachments come in handy to completely vacuum a room. Open Closet Doors and Vacuum – I moved into a home where the previous owner never opened the closets when they vacuumed. Because of that, they had a line of dirt and dust on the carpet along the edge of the closet. Move Furniture When Possible – If it is a light weight chair or table, move the item over when you vacuum to avoid dirt build up around the base. If you can’t move it, be sure to utilize the attachments to go around the legs and to vacuum underneath. This is especially important under beds where a lot of dust can accumulate. 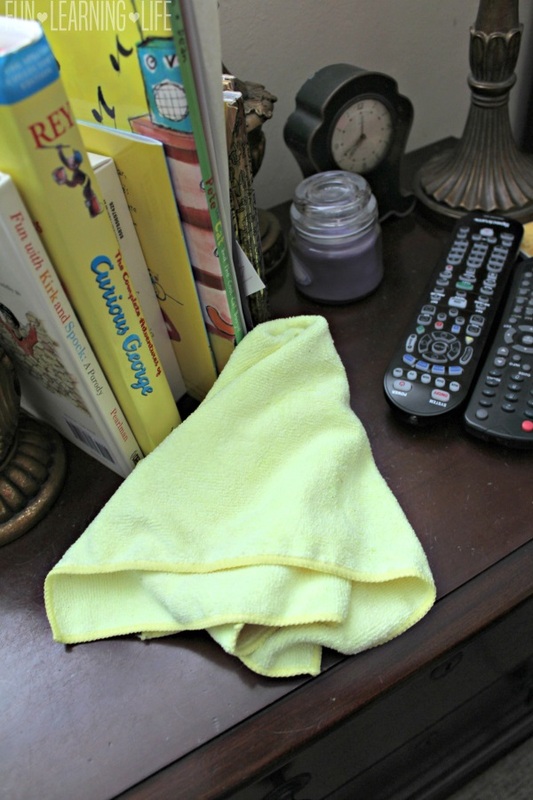 Looking for additional cleaning tips? Be sure to check out Allergy Proofing Your Home: Tips To Help Prevent Allergies at Home! 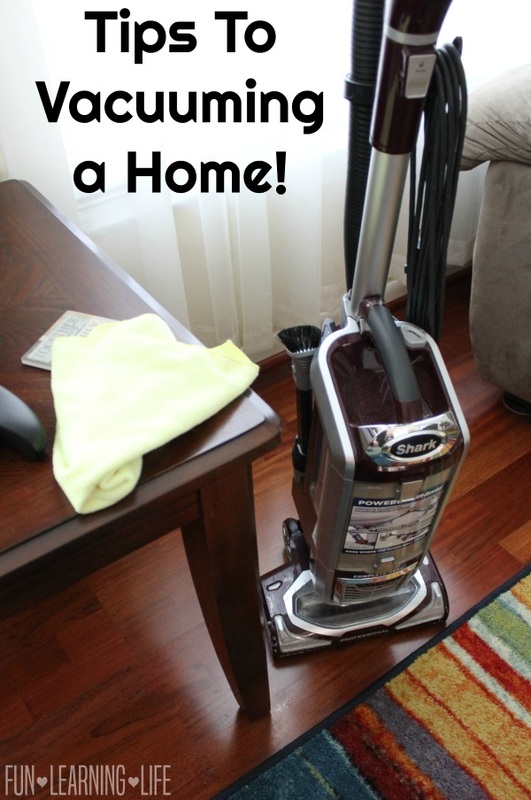 I hope you find these Tips To Vacuuming A Home helpful the next time you start your cleaning adventure. Always forget about dusting house and blinds before vacuuming! 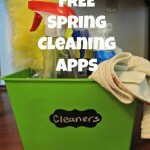 Great reminder and love the DIY dusting cloths. Some good tips. I always go through vacuums like crazy. These tips might help them last longer. These tips are very helpful. My vacuum is consistently getting clogged. Thank you for the tips, especially the one about removing hair from the undercarriage. These are great tips! I never thought about dusting furniture and blinds before vacuuming. 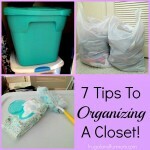 Good idea about vacuuming in the closets--a vacuuming lapse like that would be ecchy! These are great tips! I always forget to dust before I vacuum. And I also need to use attachments along the wall. These are good tips. My 3 year old has suddenly become afraid of our vacuum. I don't know why she's reacting to it now. Great tips! I just cleaned my vacuum out the other day....it was filthy! We ripped out our carpet a few years ago to eiiminate the vacuuming issue. We don't have rugs like you do, so we only have to sweep and swiffer. Great tips! My vacuum does get quite "hairy." I also use the tip of cutting with scissors and pulling it out. 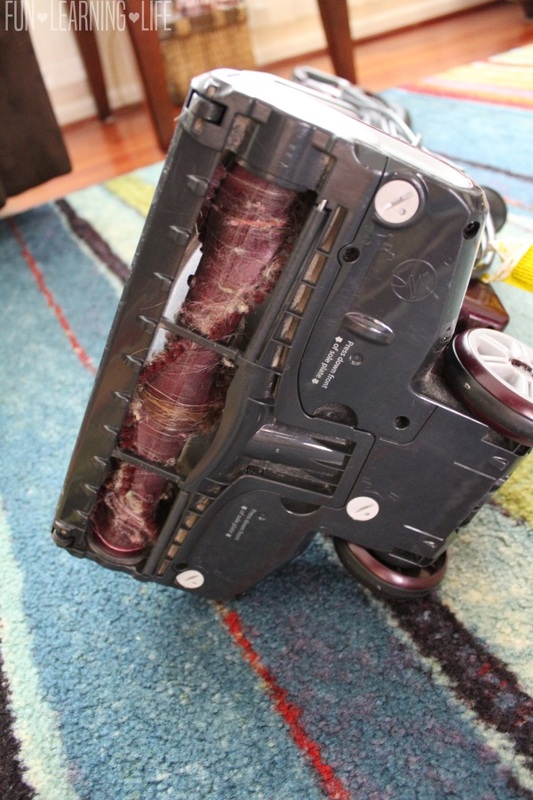 I'm afraid to look at my vacuum's undercarriage! It has been a while. Thanks for the tips! Great tips, thanks for sharing. I really hate vacuuming, but it has to be done. I tend to forget removing wrapped hairs and it makes such a difference. Great tips. I am definitely guilty of not cleaning my vacuum brush often enough. We have a dog and cat and I have very long hair that gets wrapped around it. I usually clean it when I notice a difference in suction. A lot of this you read and think it seems so obvious and it's just not this has been a learn as I go sort of process. I hope I did a good job on the floors I"m gonna start using more of these type of strategies. I never can remember whether to dust before I vacuum or vacuum before I dust. Today's housecleaning day so I'll do it right this time! I appreciate the tip about light and open blinds. I notice so much more pet hair.